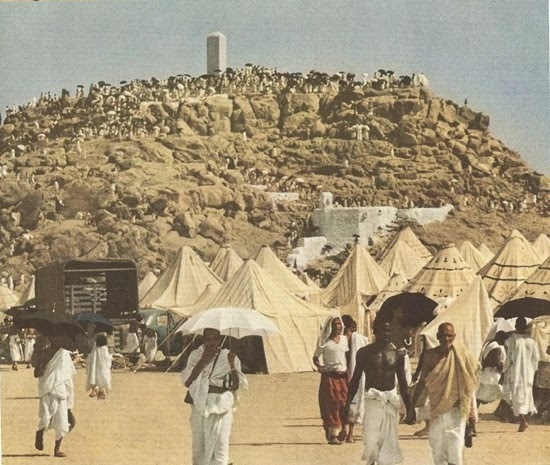 See these photos to know how it was like to perform Hajj in 1953. 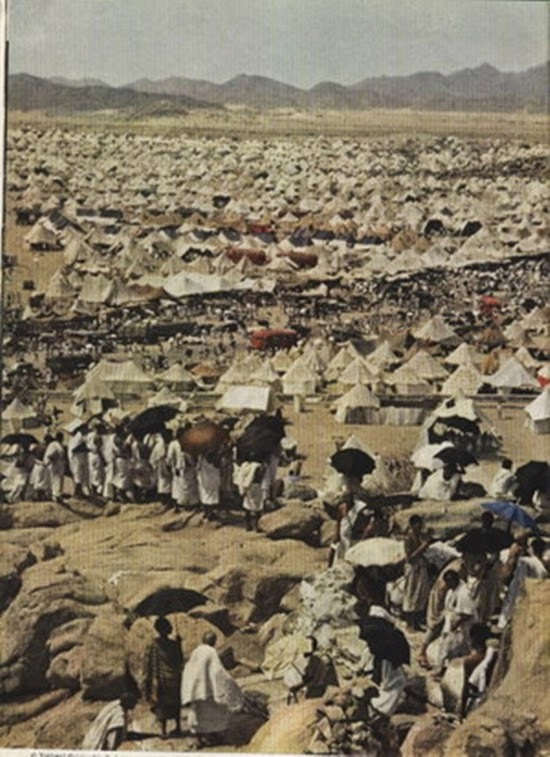 Though this is only just 60 years old, but a lot has been changed mainly due to the increase in the number of pilgrims each year. 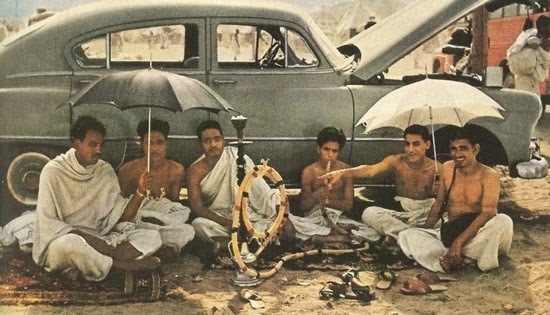 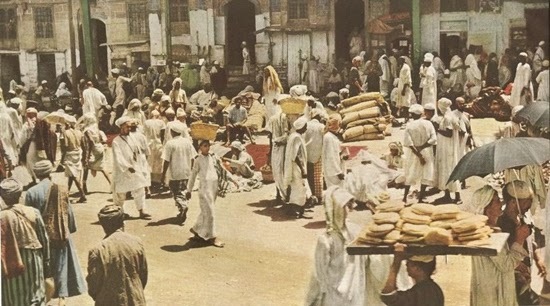 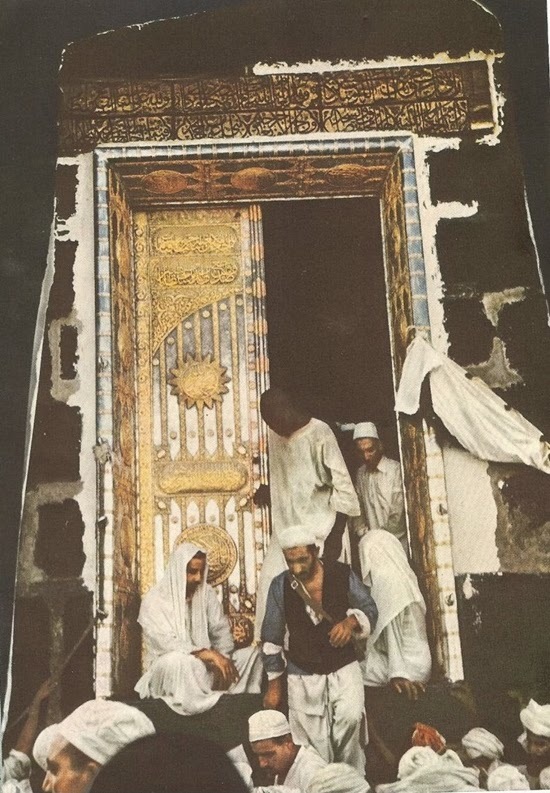 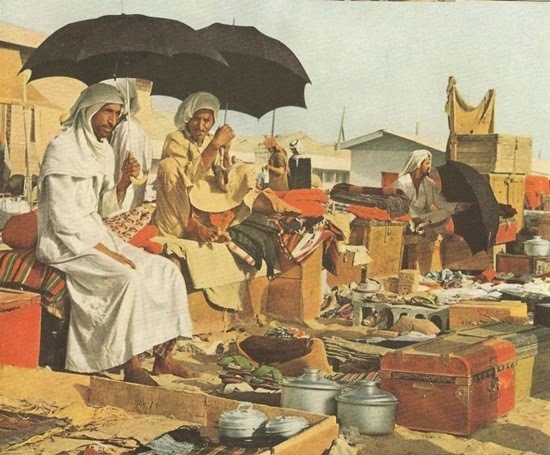 These photos were first published in National Geographic Magazine, July 1953 edition under "From America to Makkah on Airborne Pilgrimage" by Abdul Ghafur Sheikh. 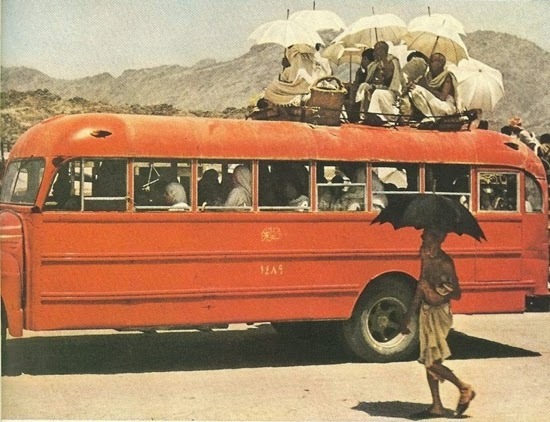 A bus used to transport pilgrims from place to place. 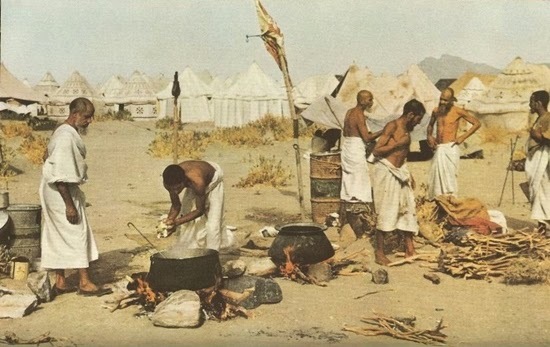 In Mina, pilgrims were cooking food themselves. 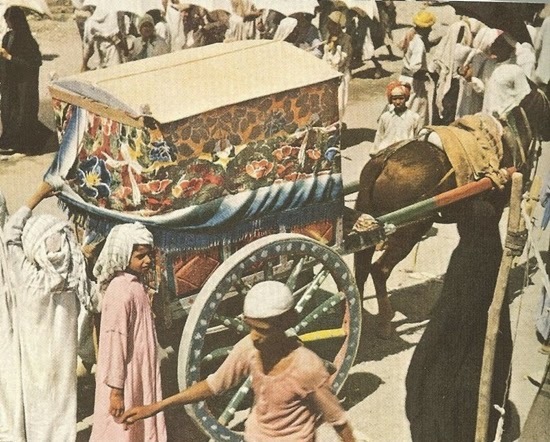 Horse and carriage was used as a means of transport for females. 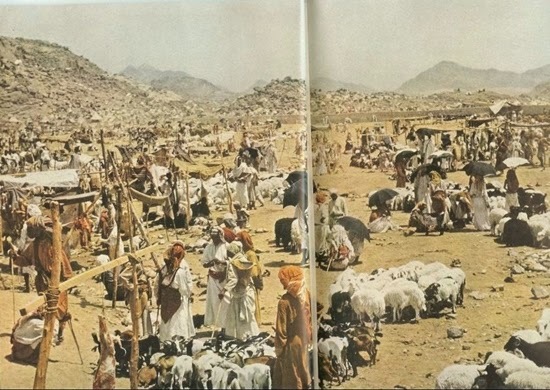 Pilgrims were able to choose the animals they wanted for Qurbani. 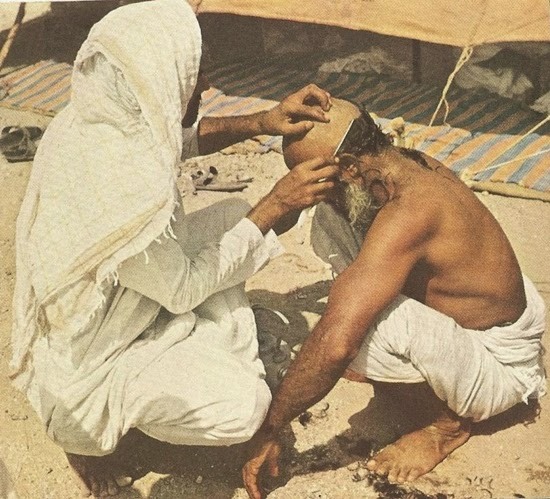 Hair shaving of a pilgrim. 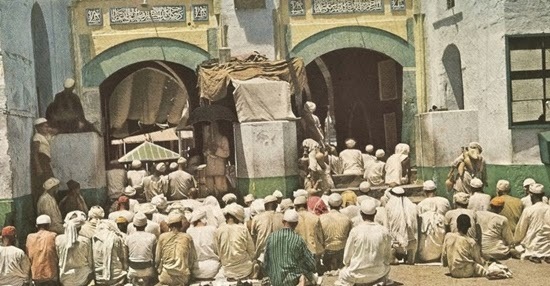 Muslims offering prayer outside the Masjid entrance. 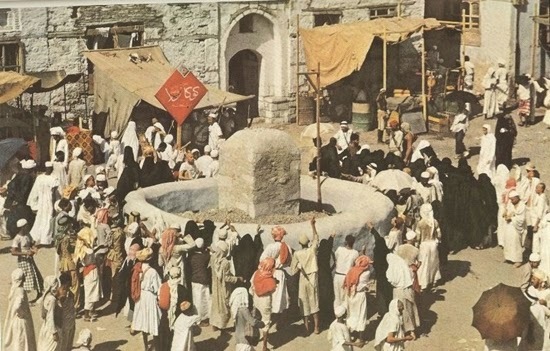 The Jamarat used to be small pillar which would be stoned symbolizing stoning of the devil. 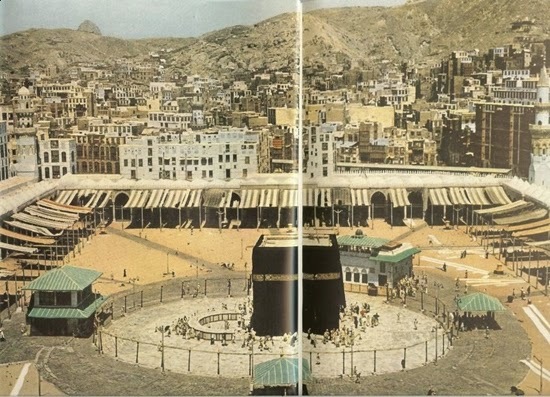 Homes and hotels can be seen outside of the sacred masjid’s perimeter. 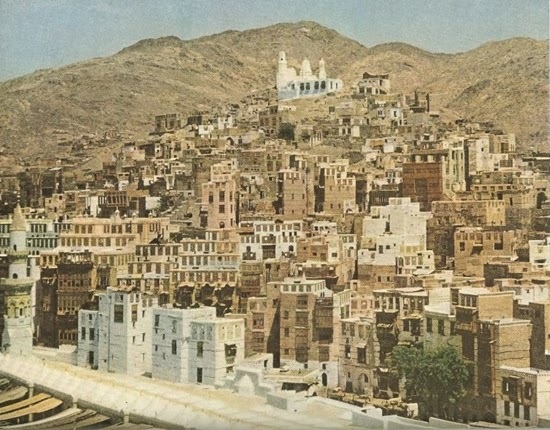 Much of these buildings have been demolished to make way for the Masjid’s expansion. 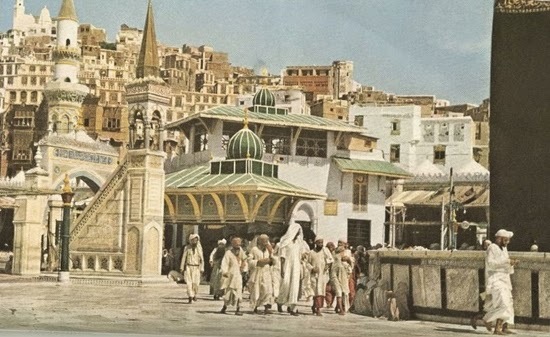 One of the entrances to Masjid al Haram. 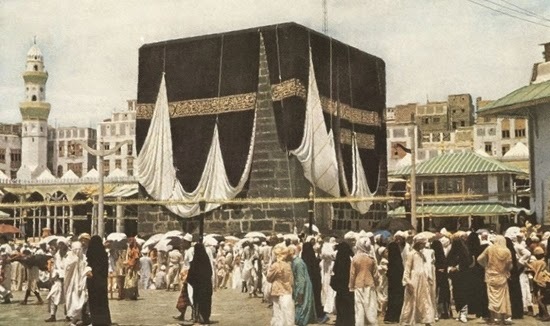 Kaaba and the Mataf area. 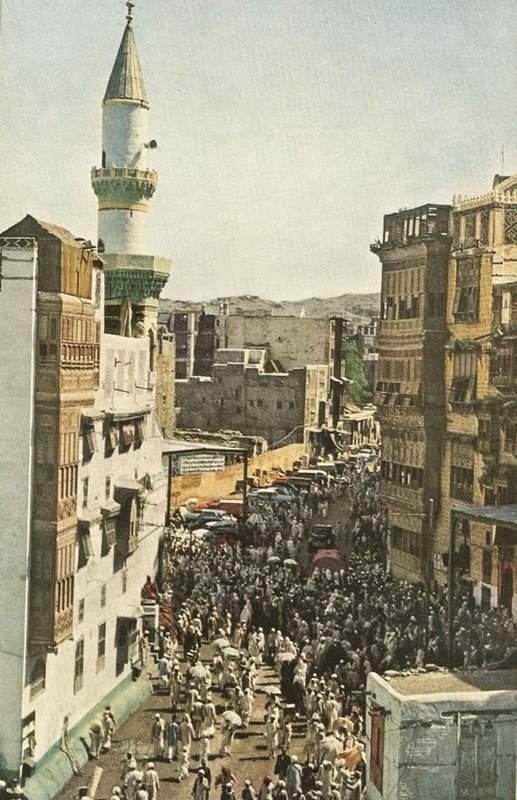 Photo of a busy street in Makkah. 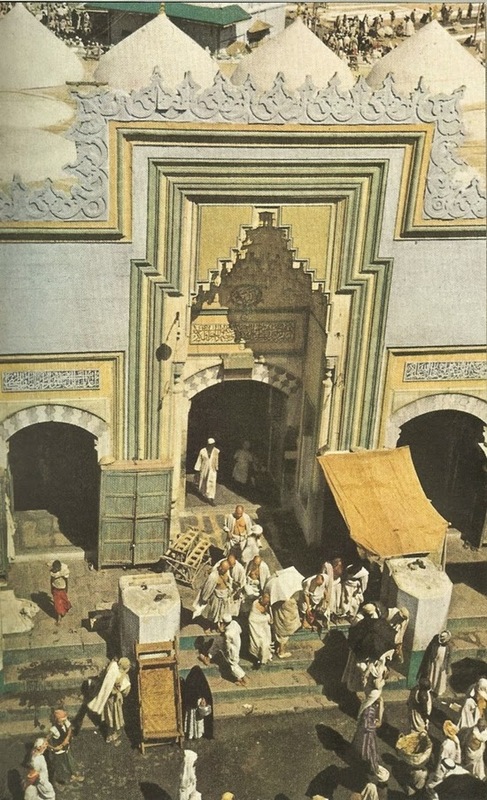 An Ottoman style minaret of a Masjid can be seen. 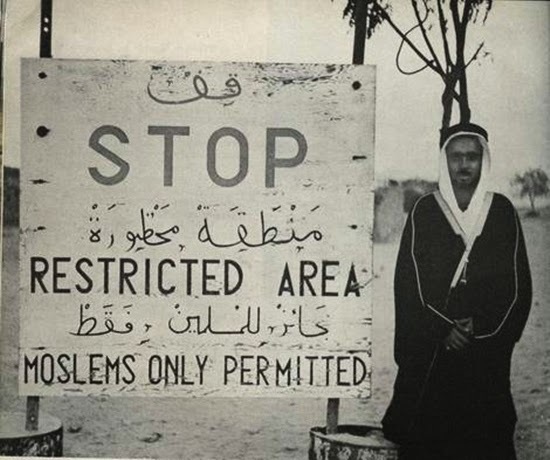 Notice Board for Non-Muslims as only Muslims are allowed to go beyond this point in Makkah. 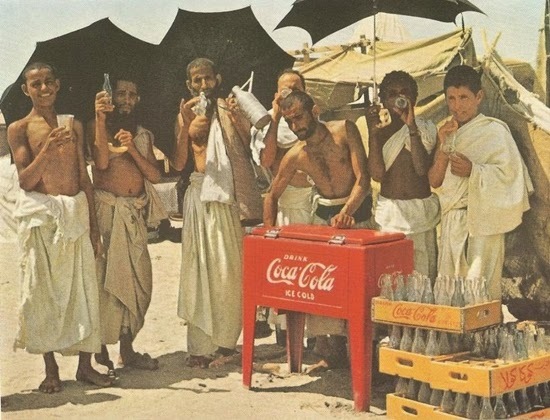 Pilgrims drinking Coca Cola to cool themselves. 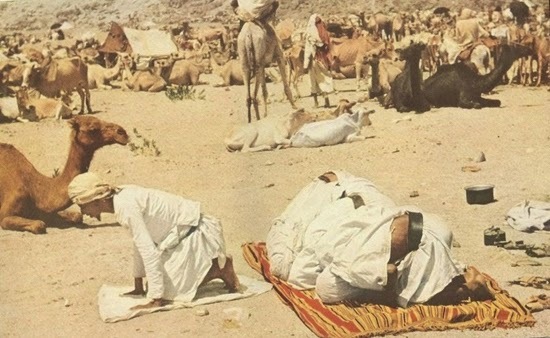 Pilgrims offering prayer near their camels. 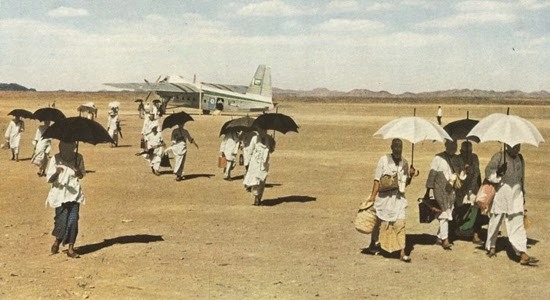 In those days commercial air travel was still in its early stages and it was not as widely available as it is today. 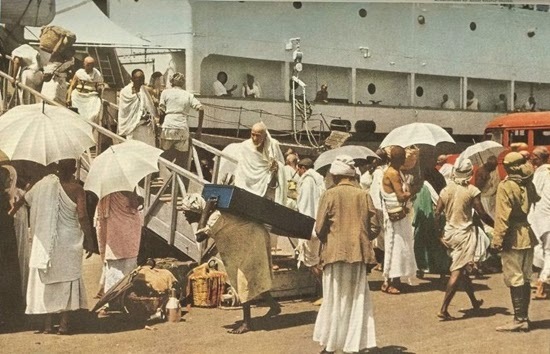 Many pilgrims would travel to Makkah via a ferry or a ship. 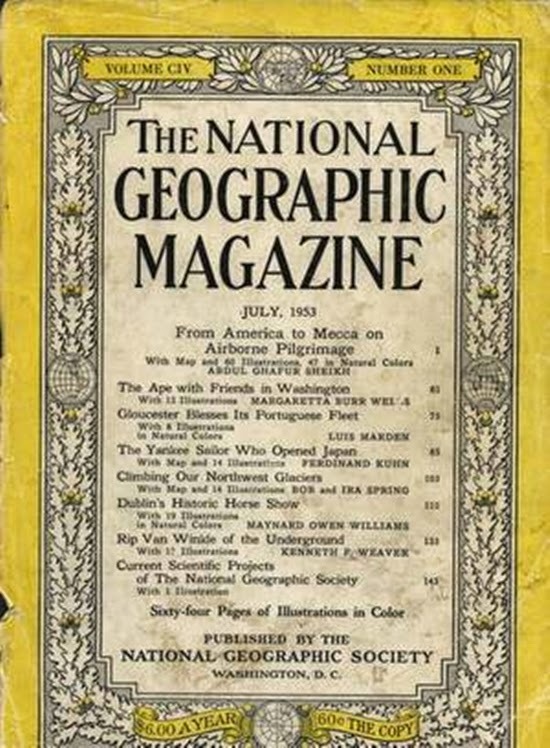 Photos courtesy of the National Geographic Magazine.